Some states are trying to halt the practice of share tables, which offer unopened, unwanted food to hungry students. “Can I have that banana? I’m still hungry,” said a sixth-grade student peering into a bin full of unopened bananas, apples, milk, and a couple of unopened, plastic-wrapped sandwiches at a public middle school in Fayetteville, Arkansas recently. These unopened items are the result of a student food waste audit conducted in partnership with the school’s Green Team, the University of Arkansas, and the World Wildlife Fund. Student food waste audits are the measurement of what students have left on their trays at the end of their lunch period. Some trays have been picked clean, some picked over, and others hold untouched, unopened foods. And, while some students are totally satiated, others remain hungry. Connecting the dots between these two kinds of students is the idea of a “share table,” a way to address both student hunger and food waste in school meal programs during the school year and summer. Foods from the sixth grade lunch period at a public middle school. All of all these items were claimed by either students or teachers. Share tables—or carts or tubs—are exactly what they sound like: places to drop off things like packages of carrots, bananas, or apples, or unopened cartons of milk for other students to pick up free of charge. With the USDA’s encouragement, a growing number of school lunch programs across the country are now offering share tables. But there has also been some surprising pushback recently. Earlier this year, the Connecticut Department of Education (DOE) issued a memo to its school food providers noting that “the intent of the school nutrition programs is to serve reimbursable meals to students” and, by both implication and a long list of restrictions, severely limit what is allowed on share tables in Connecticut schools. While school nutrition directors do have a mandate to maintain a balanced budget, it’s important to clarify that the primary purpose of the National School Lunch Program is to provide children with the healthy food their brains and bodies need to get through the day. It is not, as the Connecticut DOE memo implies, to sell food. Connecticut’s move follows an even more drastic response to share tables in North Carolina, where at the end of 2016 the state’s Health and Human Services division dramatically cut what share tables can offer. Hanna Wondmagegn, a senior at East Mecklenburg High School in Charlotte, founded a share-table food recovery program in her sophomore year. 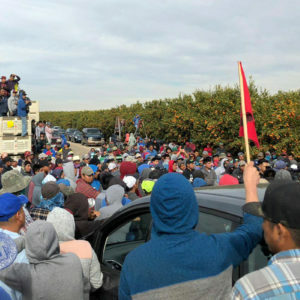 Now, the program is at a standstill and food recovery efforts have reached a choke point. Under the new North Carolina rules, fruits, vegetables, rolls, cookies, and/or trail mixes that have been prepared and packaged by school food service staff are prohibited from being shared, as well as shell-on hard-boiled eggs, commercially packaged cut melons, cut tomatoes, and cut leafy greens. Worst of all, in Wondmagegn’s opinion, the new rules do not permit students to share unopened milk cartons, which are highly likely to remain unopened. More than one-third of the items Wondmagegn’s Food Rescue program have collected were milk cartons. In addition to increasing student hunger and food waste, restricting share tables doesn’t meet the stated goals of school administrators. 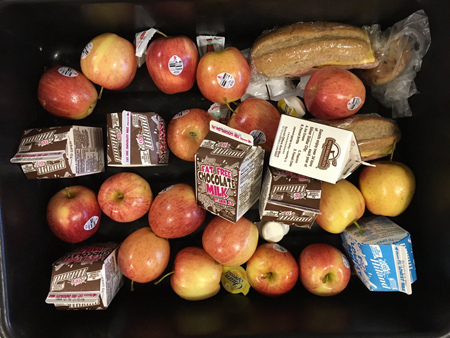 Share-table food does not affect a district’s reimbursable meals nor their bottom line as the Connecticut memo implies, because these unopened items have already been accounted for. And, while there have been some concerns for food safety, there have been no incidences on record in North Carolina where share tables have led to a public health violation. However, there is plenty of data relating to childhood hunger that should create the prevailing wind in this argument. 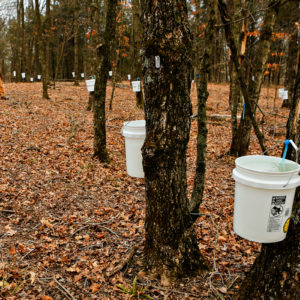 Nicole Civita, director of the Food Recovery Project at the University of Arkansas’s School of Law, believes these kinds of restrictions are fighting paper tigers, because no legal actions have been taken against share tables or the federal legislation that enables the practice. 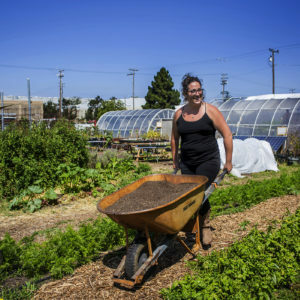 In addition to the moral argument for using surplus food to feed hungry children, there are a number of other arguments—economic, environmental, and public health—for embracing share tables. Share tables enable us to use the federal tax dollars we invest in feeding 31 million kids each day for their highest and greatest good. When students offer their unopened, unconsumed foods to other students, they expand the impact of our investment in their food security. For example, a carton of milk costs approximately 50 cents per carton. The nearly 2,000 unopened milk cartons Wondmagegn recorded going to waste during the 2015-16 school year cost over $989 to purchase. Factor in the disposal costs and it means this school is wasting about $1,500 a year just in unopened milk. Share tables also promote an ethic of food conservation and respect for the impacts of food waste. And decomposing food in landfills creates and emits the powerful greenhouse gas methane. 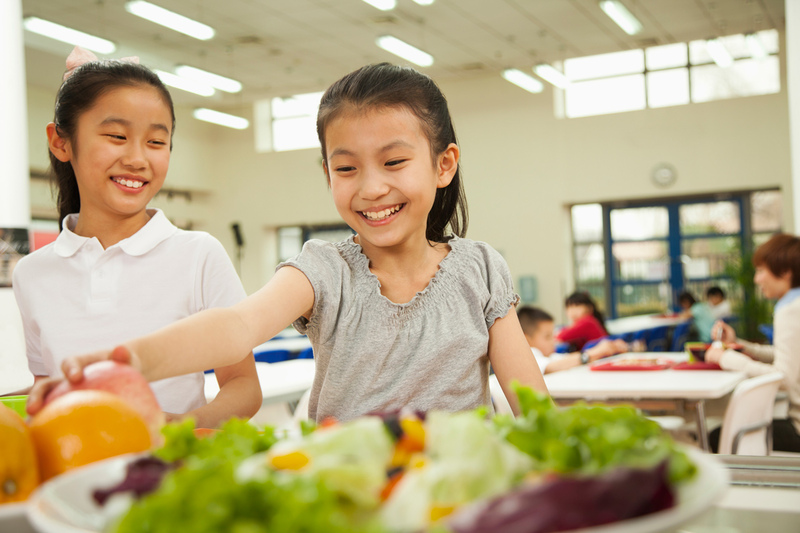 To help organizations like schools manage their food waste in the most sustainable way possible, the U.S. Environmental Protection Agency has created a hierarchy of food recovery. 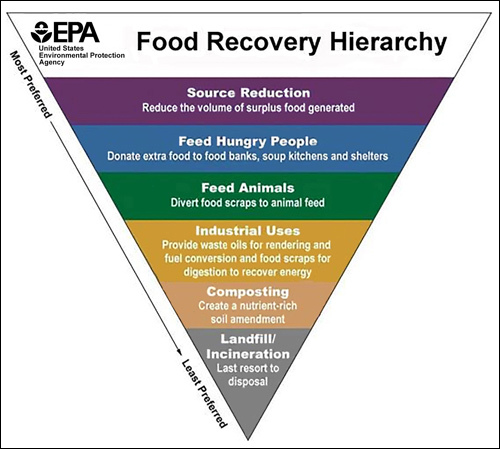 The hierarchy, visualized as inverted pyramid, illustrates that surplus, edible food should go to people first, then to animals, then to industries (such as organics recycling companies), and then to compost piles. Only as a last resort should food resources be sent to a landfill. Share tables also complement the educational mission of schools. Whether we acknowledge it or not, the lunch room is a classroom, and students learn lessons there, either by intention or attrition. Habituating children to share their uneaten food is also a public health “nudge” that can influence dietary choices at home and the behavior patterns they will carry into adulthood. Share tables also cultivate an ethic of empathy, looking out for one another, and building a strong, connected school community among the student body. And they prevent “hangry” kids from being too distracted to learn. This is such a wonderful idea and teaches so much. Adds to the community aspect of school. At my daughter's school if someone forgets their lunch every child gives an item from their own lunch. They have all been the recipient of this generosity at one time or another. Excellent article that highlights the insidious amount of red tape and profit-driven greed interfering in meeting the needs of our children. Schools buying certain amounts of milk, for example, is "required" by a school district because it essentially serves as a dairy industry subsidy. If the school has bought their quota, they should have the right to do with it what they want. Hopefully, they want hungry children to have it. Agreed, Vivian! It's pretty unbearable that schools and respective districts are driven to act out of fear of retaliation for violating any ridiculous laws around food "sale" (read: recovery). If only they were able to use this already-purchased food in a responsible way. The author mentioned "hangry" students, but we all have seen the data on how hunger can affect students, including lower academic performance. The k-5 school that I work(ed) at was fantastic when it came to feeding our children. I worked in a location where many of our children came in hungry & tired. We offered a healthy & open, breakfast, snack & lunch environment. The children were able to share if they chose. Many of our students & children, were often overwhelmed with hunger and lack of sleep. And, yes other reasons, as well. Each classroom also offered a bowl of fresh fruit, juices & milk, if they needed these during their day. Each child, if they chose, were offered a snack to go home with. We provided them with nutrition & guidance that they required to be healthy & aware & to grow. If, the guidelines within a state or country do not feed our children. I will. What a fantastic initiative! We are currently doing our own project in West London UK, a kids led social enterprise... we collect surplus food from supermarkets and markets and sell on a 'pay as you feel basis' to parents in the school playground. I think the share program is a benefit for all! There were times when my children were at both ends of the spectrum. As long as they use the procedures in place I feel it is an excellent idea! The article states: Under the new North Carolina rules, fruits, vegetables, rolls, cookies, and/or trail mixes that have been prepared and packaged by school food service staff are prohibited from being shared, as well as shell-on hard-boiled eggs, commercially packaged cut melons, cut tomatoes, and cut leafy greens. Worst of all, in Wondmagegn’s opinion, the new rules do not permit students to share unopened milk cartons, which are highly likely to remain unopened. More than one-third of the items Wondmagegn’s Food Rescue program have collected were milk cartons. If this is true, how is it that sixth grade teachers in Fayetteville, another NC city, speak about the "share table" as a great resource? This appears to be contradictory. It is a travesty not to have share tables. I would love to show this to our school here. It's a wonderful idea in this time of simple child hunger being overlooked.